Our water park is waiting for you! 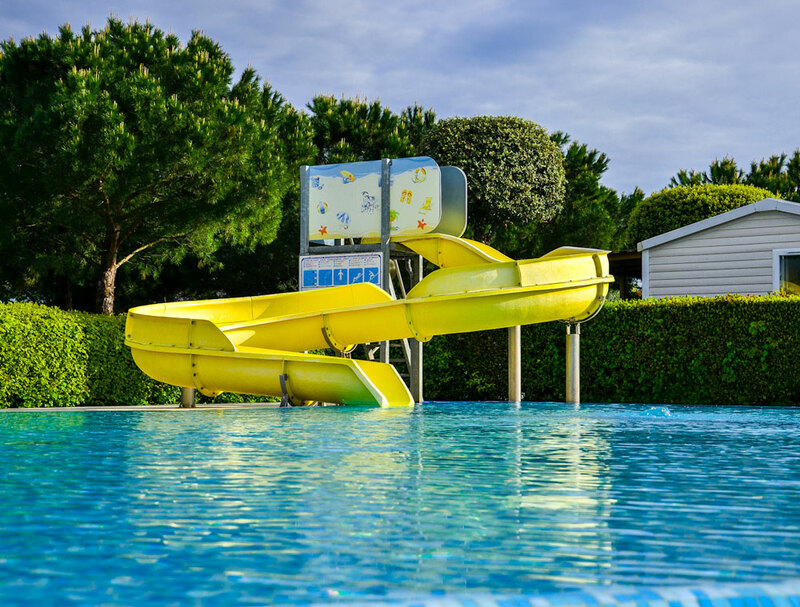 A swimming pool with 2 slides for adults and children, whirlpool and lagoon pool with games for kids is the perfect place to have fun with your family. Another heated pool will allow you to swim peacefully. The big solarium offers sun beds and sun umbrellas for free. The opening of one pool is guarantee from the low season. 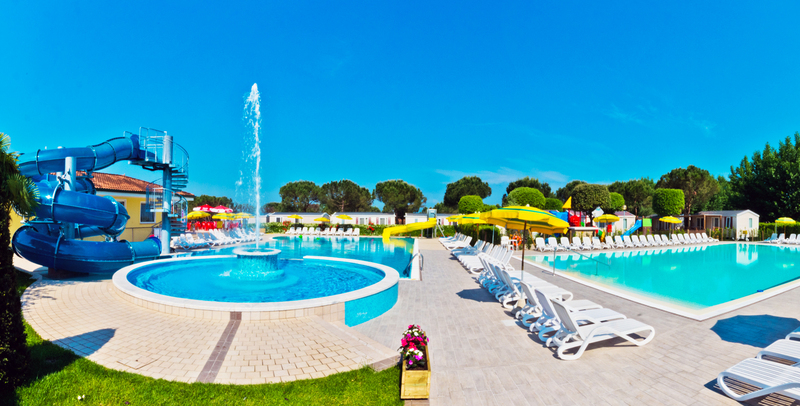 Would you like to insurance your reservation at Camping Le Palme? You have now the possibility to protect your holiday booking. 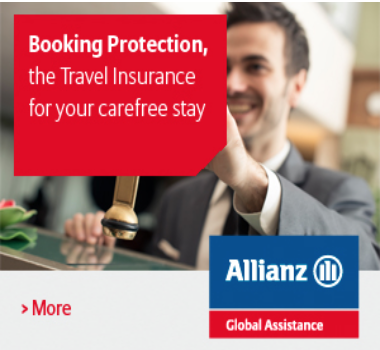 Allianz Global Assistance offers you Booking Protection, the insurance policy that refunds you in case of cancellation of the booking, interruption of stay or delayed arrival at our camping. It is easy and quick. Just click here to calculate your quotation.